Fraser, David. 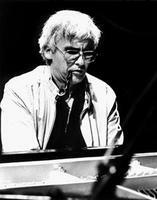 "Paul Bley". The Canadian Encyclopedia, 20 January 2016, Historica Canada. https://www.thecanadianencyclopedia.ca/en/article/paul-bley-emc. Accessed 23 April 2019. Jazz pianist Paul Bley (photo by Mark Miller). Hyman Paul Bley, pianist, electric keyboardist, composer (born 10 November 1932 in Montréal, QC; died 3 January 2016 in Stuart, Florida.) Bley was one of the few Canadian jazz musicians of his generation to achieve international recognition as a concert and recording artist. A pioneer of free jazz and the avant-garde, Bley performed with a wide range of creative improvisers in a career that has spanned seven decades. Although less well-known than his contemporaries Oscar Peterson and Maynard Ferguson, he was perhaps the Canadian who has most influenced the broader course of jazz music. As a child in Montreal, Bley first studied violin and then piano, including taking courses at the McGill Conservatorium. During the mid- to late 1940s, he performed in and led jazz groups in and around Montreal (often performing as Hy or Buzzy Bley). In 1949, he replaced Oscar Peterson at the Alberta Lounge. In 1950 Bley enrolled in the Juilliard School, New York, and became active in that city's jazz scene, performing in groups led by Charlie Parker, Sonny Rollins, Ben Webster, and others. His US debut recording, Introducing Paul Bley (with Charles Mingus, double bass; Art Blakey, drums), was released in 1953. Although based in New York, Bley remained active in the Montreal scene. In 1952 he co-founded the Jazz Workshop in Montreal, a musician-controlled organization that presented concerts featuring soloists from New York accompanied by local musicians. The Jazz Workshop organized a February 1953 visit to Montreal by Charlie Parker, including a live performance with a local rhythm section (Bley, piano) on CBFT television. Also in 1953, a trio led by Bley appeared in the film documentary, Canadian Cameo Series: Spotlight Number 5. During the mid-1950s, Bley toured with his own trio and also appeared in groups led by Lester Young, Chet Baker, and others. In 1957 Bley relocated to Los Angeles, where his bookings included a lengthy engagement at the Hillcrest Club. During October 1958 he led a quintet at the Hillcrest that included Ornette Coleman (alto saxophone), Don Cherry (trumpet), Billy Higgins (drums), and Charlie Haden (double bass). Like many jazz artists in that decade, Bley had played mostly in the predominant bop idiom, and it was during his engagements in Los Angeles (including the quintet with Coleman and Cherry, and free duets with the Canadian trumpeter Herb Spanier) that he began to play what later became known as free jazz. Bley married his first wife, the composer Karen Borg (later known as Carla Bley), in 1957. Returning to New York in 1959, Bley performed and recorded in groups led by, among others, Charles Mingus, George Russell, and Don Ellis. During 1961-62, he was part of a ground-breaking free trio with Jimmy Giuffre (reeds) and Steve Swallow (double bass), and also worked with Swallow, the bassist Gary Peacock, and the drummer Paul Motian in other groups in the early 1960s. During 1963-64 he played in Sonny Rollins' quartet, touring Japan in 1963, and in 1964 Bley worked with Albert Ayler. In the latter year, Paul and Carla Bley were active in the Jazz Composers Guild, an artist-controlled organization that presented its members in a series of concerts of avant-garde and free jazz in New York. While the free jazz innovations of the late 1950s had emphasized harmonic and formal freedom, it was during the mid-1960s that Bley and others associated with the Jazz Composers Guild began to explore the possibilities of playing in free time. Bley and other members of the Jazz Composers Guild were the subject of a 1981 film documentary Imagine the Sound. Bley led an influential and freely interactive trio during the mid-1960s, working in the USA, occasionally in Canada, and (increasingly after 1965) in Europe. Documented in a series of important recordings (such as Ramblin', Blood, and Mr. Joy), the trio's regular members included the bassists Kent Carter, Mark Levinson, and Gary Peacock and the drummers Barry Altschul and Billy Elgart. Bley married his second spouse, the composer and vocalist Annette Peacock, after his 1967 divorce from Carla Bley. Bley's career underwent a major shift in the late 1960s, when he started to use electric instruments in live performance and in recording sessions. In addition to the electric piano, Bley adopted the Moog and ARP synthesizers, and was one of the first major artists to explore the tonal possibilities of these new instruments. Sometimes performing with Annette Peacock, his ensembles during the period 1969-72 were often billed as the Paul Bley (or Bley-Peacock) Synthesizer Show. After his separation from Peacock, he led the electric jazz fusion group Paul Bley and Scorpio. In 1974, a Scorpio recording project evolved into the debut recording of both the guitarist Pat Metheny and the electric bassist Jaco Pastorius. Despite his focus on electric instruments during this period, in 1972 Bley recorded the first of many influential solo piano albums, Open, To Love; after 1974 he seldom performed on electric instruments. In 1974 Bley and the video artist Carol Goss (whom he married in 1980) established the company Improvising Artists Inc. (IAI). IAI was most active in the 1970s, when it developed a catalogue of recordings by Bley and other jazz artists and promoted an ambitious roster of jazz artists for live performance. Among the artists who recorded and toured with IAI were Lester Bowie, Jimmy Giuffre, Lee Konitz, Steve Lacy, Sun Ra, and Sam Rivers. In addition to audio recordings, Goss, Bley, and IAI produced commercial music videos; they were in fact credited by Billboard magazine as having introduced the commercial music video genre. Some IAI videos were jazz performance documentaries, and others were more abstract interpretations. Editing and mixing decisions in IAI videos were improvised simultaneously as the music was performed, to parallel the creative process of jazz. In the early 1980s, the Goss-Bleys and IAI relocated from New York City to Cherry Valley, New York. After 1974, Bley toured and recorded, often in Europe, as a solo artist or with changing combinations of players (usually in duos or trios, seldom larger than a quartet), and almost always as a leader or co-leader. While the groupings were fluid, Bley in his later career maintained many longstanding collaborations and re-invented some earlier ensembles (notably the trio of Bley-Peacock-Altschul, which reunited for a major tour of Japan in 1976, and that of Bley-Giuffre-Swallow, which re-formed 1989-95). While his visits to Canada were infrequent in the 1960s and 1970s, Bley's connections with the Canadian jazz scene began to grow in the 1980s. Bley recorded, for Justin Time and other Canadian record labels, with several Canadian musicians including Jon Ballantyne, Jane Bunnett, Sonny Greenwich, Yannick Rieu, Herb Spanier, and Kenny Wheeler. He performed at Canadian jazz and new music festivals, including the Festival international de jazz de Montréal, which honoured him with a concert series in 1992 and which accorded him the Prix Oscar Peterson in 1994. In 1998, the Bravo! and Arte television networks broadcast a biographical documentary on Bley. In the early 1990s Bley added teaching to his career, when he joined the faculty of the New England Conservatory of Music. He was inducted into the Order of Canada in 2008. In addition to performing his own compositions and jazz standards, Bley was an important interpreter and exponent of the compositions of Ornette Coleman, Carla Bley, and Annette Peacock. While Bley's performances usually included improvisations on pre-composed music, he also engaged in the spontaneous solo and ensemble creation of new compositions, in both live concert and recording studio settings. Bley's music was increasingly characterized by informality, little or no rehearsal, and spareness, and his tendency to engage in musical dialogue during ensemble performances was in keeping with his view of music as a social activity best undertaken with friends. His improvisations and compositions, and the musicians with whom he chose to play, also revealed an interest in dissonance, tone qualities, atonality, microtonality, and serialism. Restlessness and an openness to innovation were evident in Bley's career, for example in his shifts from bop to free jazz, from standard to free time, and from acoustic to electric instruments. A prolific and influential recording artist with almost 100 issued recordings, Bley led a lengthy and truly international career, with tours and listeners in the Americas, Europe, Japan, and elsewhere. His archives are held by the Library and Archives of Canada.